I’m working from home in order to take care of my new puppy! Yes, you heard me right! I am now a proud dog owner. For those of you who know me personally, I’m sure you never thought this day would come (I sure didn’t). But then again, you never know when you’ll fall in love! The thing with working from home is that unless I get dressed in ‘work clothes’ I don’t feel like I’m working. So, although no one will probably see me (well, I might run to Safeway), I’ll still dress somewhat professionally just to set my mind in work mode! I’ve paired my jeans with this cute chambray shirt and then to make it more professional, I’ve layered my cream blazer. Since this jacket has 3/4 sleeves, and the shirt underneath has full sleeves- I decided to roll the shirt sleeves into the blazer sleeves- so they don’t hang out below. I love the soft cotton fabric of this jacket- it makes it very comfy and easy to wear. For anyone who is interested- here is my puppy, Sadie! Cutest dog in the world! What kind of dog is she? 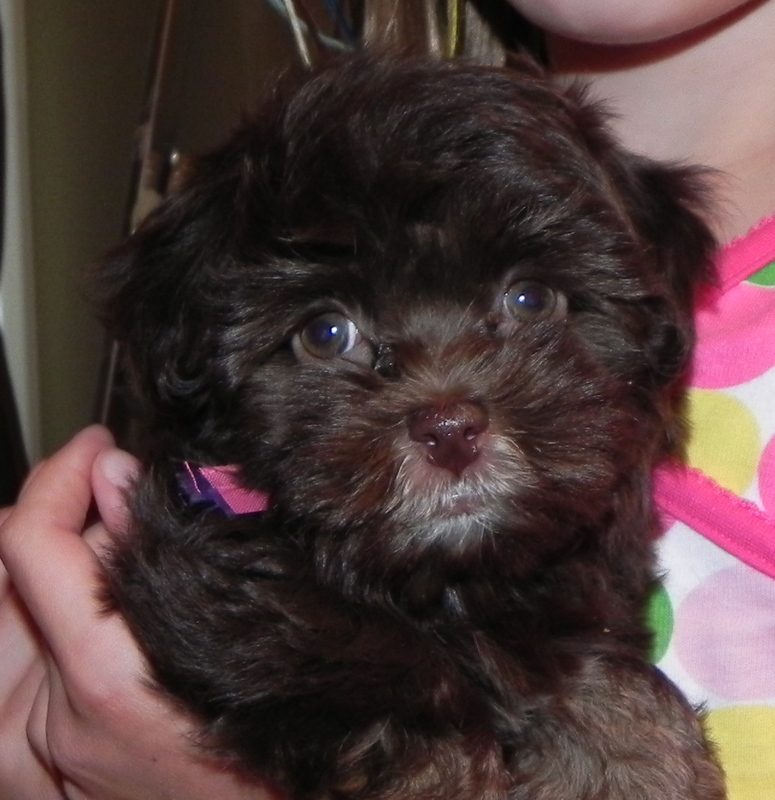 She is a Havanese- which I had never heard of before- but they are very sweet and gentle dogs. Great around kids! Love the small touches added to the “before” look! It really makes a great outfit! She is a cutie pie! Congrats to proud Mama! Adorable little puppy! Yes, I am shocked but so happy for your family. She’s sure going to love all the attention from the kids. Congrats.